Breakfast is my favourite meal of the day; it sets me up for the morning ahead and I love leaving the house knowing that I’ve had at least one or two of the five portions of fruit and vegetables that I should be eating that day! 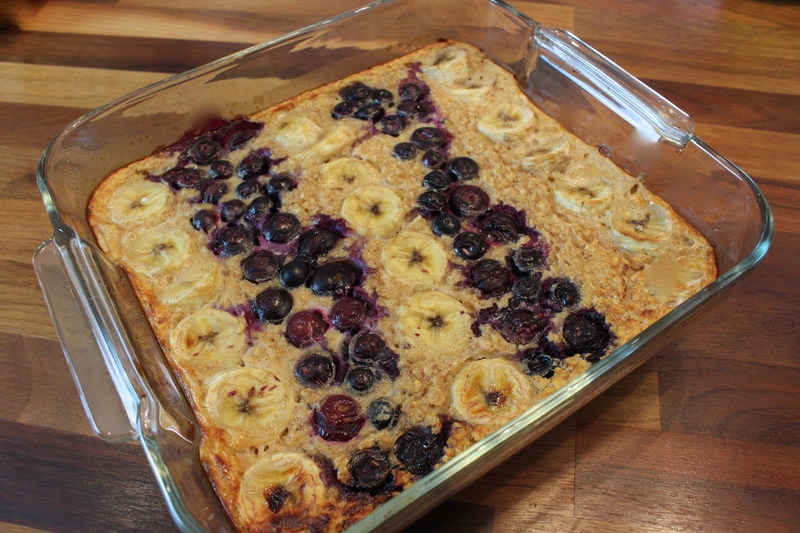 This healthy recipe, baked berry & banana oats is novel take on porridge and it really is easy to make; you just mix all of the ingredients together before popping it into the oven! You can make this recipe the night before a busy morning: The end result can be sliced up and enjoyed at home either hot or cold or taken to work with you to enjoy at your desk. I love adding a dollop of yoghurt for extra creaminess too and I promise you that it’s a hit with both children and adults alike. 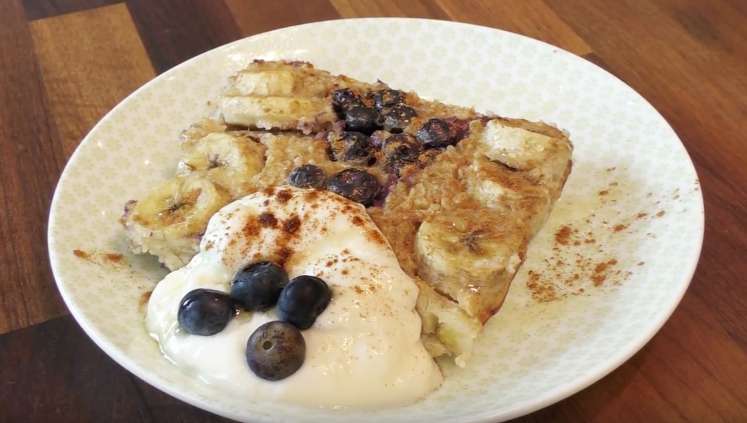 This recipe provides a whole host of different nutrients including soluble fibre from the oats, potassium and vitamin C from the banana and blueberries and protein and calcium from the eggs and milk. Feel free to change the fruit if you like; strawberries also work really well! Serve with a dollop of yoghurt and enjoy! 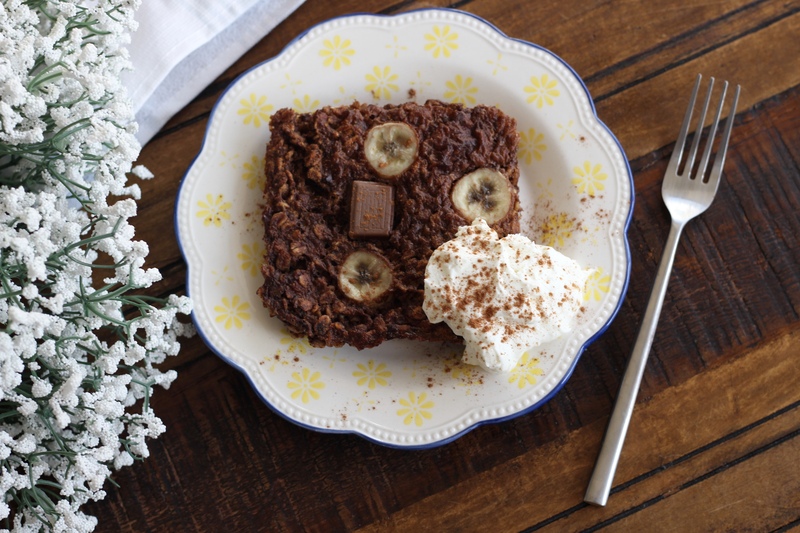 If you want a chocolate version then simply add 2 tbsp of cocoa powder to the mix before baking along with some stevia (natural sweetener) or vanilla essence to taste and then after cooking press in some pieces of chocolate! Previous Post How to really Read a Food Label! Looks great! I always want to make naked oats but it would be for one, does it keep long? Is it best served warm or cold? Do you know roughly how many calories are in 1 serving please? I can’t wait to try this! Hi Lauren, it’s under 190 calories when made with skimmed milk 🙂 Just added the nutrition info now! How many does it serve? Looks amazing! 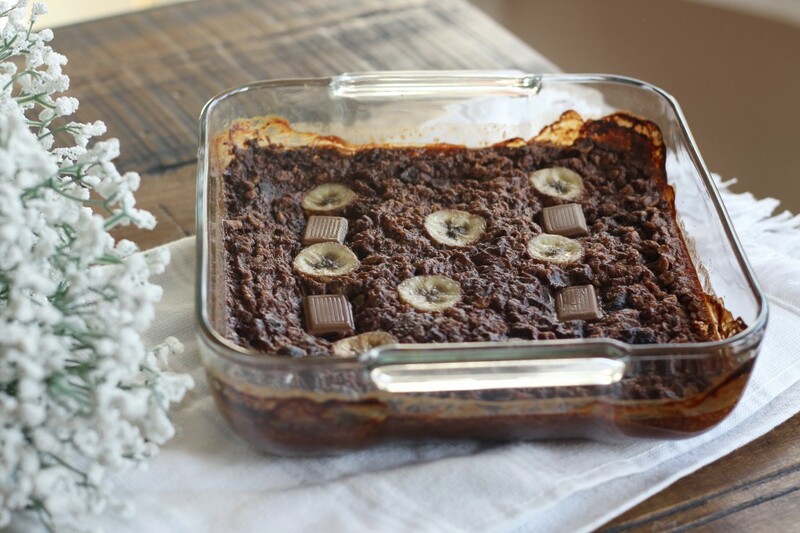 Is there a substitute I could use for the bananas? Maybe apple puree for the mix and more berries on top? I always make porridge with water and no milk, would this not work for this recipe? Best way to reheat in morning if you’ve prepped night before? Alternatively could you mix and place in dish then fridge that and bake in morning? Hi Nic do you think it would work with almond milk? Made this today and it was just perfect – perfect flavours and consistency. 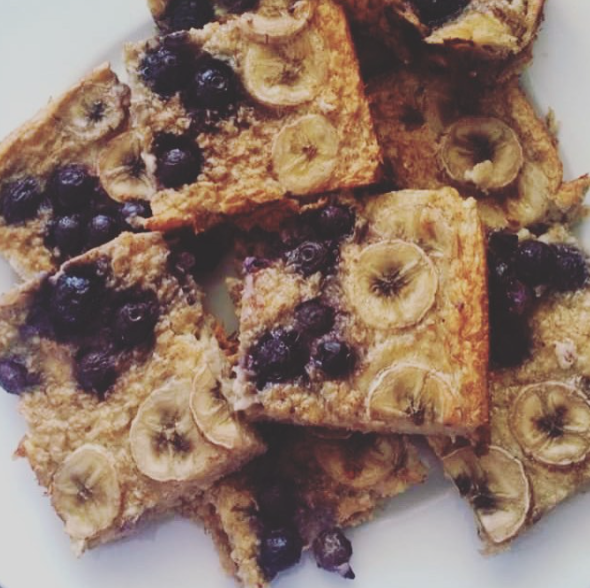 Thanks for introducing me to baked oats – I’d never considered it before! Looks amazing, is the nutritional info for half of the recipe or a quarter?